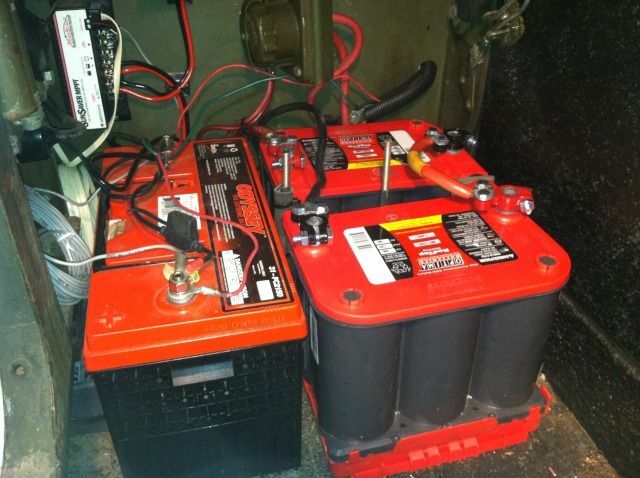 Doing some battery area work..... - THE PORTAL HUB - Pinzgauers, Haflingers, Volvo 303s and more! ... so I disconnected them and pulled them to make it easier to clean up and do some painting. I thought I remembered seeing something in one of the owner's manual pdf files about proper procedure when disconnecting and reconnecting them, but I can't seem to find it now. Besides the obvious cross polarity and arching screw-ups, anything special to watch out for, or procedures to follow? 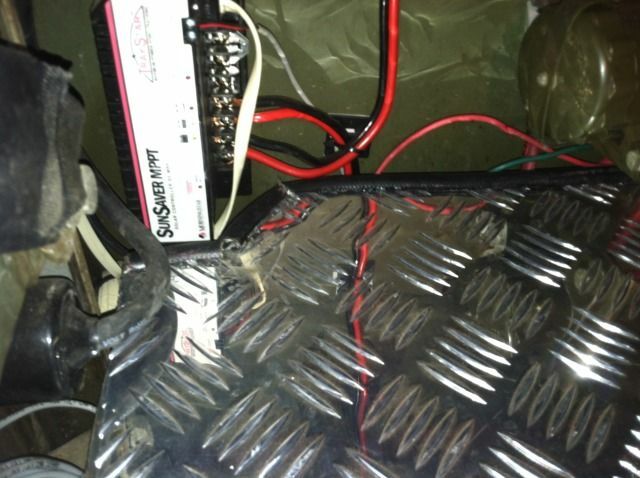 Not sure if this is correct, but I have always connected the positive and ground leads from the truck before connecting the jumper cable. I remove the jumper 1st when disconnecting. The order that the connections are made are not important; it is the last one that finally allows power to the truck (assuming that the battery key is on). If the battery key is off then you won't get a spark. Basically, turning the battery key off does the exact same thing as disconnecting any of the four battery terminals. Turning the battery key on is the same as making the last of the four battery connections. This all assumes that the batteries are connected with the proper polarity (- of one battery to the black cable that goes to the battery key switch, + of that battery to - of the second, and + of the second to the red cable to the starter). I don't think I have a battery key switch, do I? Is that a Pinz thing? I have a Volvo. No you don't have one. I found the reference I was thinking of. It was about not disconnecting the battery terminals while the engine is running or you blow the regulator. Oops, wrong section of the forum, sorry. But it still doesn't matter which gets broken first or connected last. 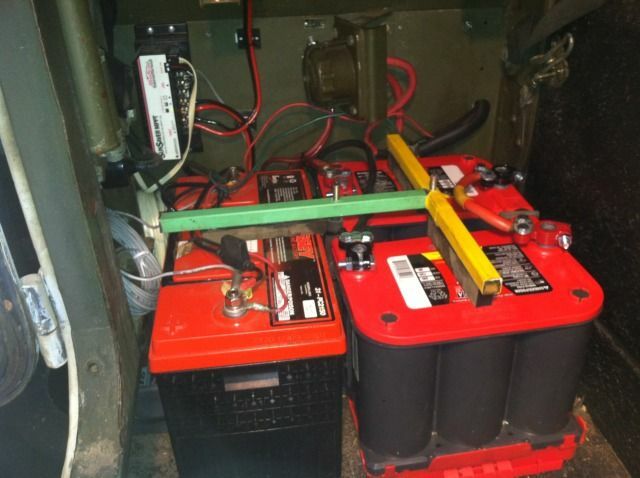 And yes, the battery is a necessary part of the charging system when the engine is running; never disconnect the battery then! Pinzgauers have an automatic relay that prevents damage if someone turns off the battery key when the engine is running for that very possibility. No problem, Jim. That's what I figured. 'Preciate yer comeback, though. 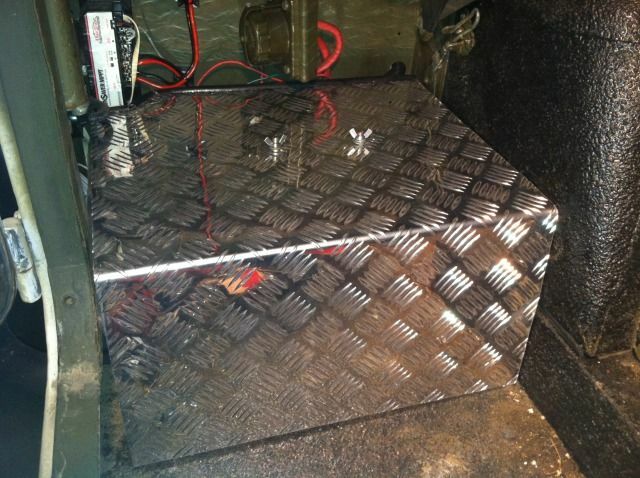 Here are a few pic's of Greg's new battery restraint system(From Fat Fab). First, 2 nutcerts into floor(after measuring twice), insulated studs in place. Shrink wrapped and rubber footed restraint bar. Next comes the rubber dust/insulating blanket. Then the final battery covering secured with 2 wing nuts. A close up of insulated edge to prevent wire chaffing. I really like how it all fits into that small area. Jim and Andre did a great job. I should point out that the truck has two completely separate systems. The two Optima batteries comprise the 24v system and the Odyssey battery is hooked into a solar charge controller with a solar panel on the roof. 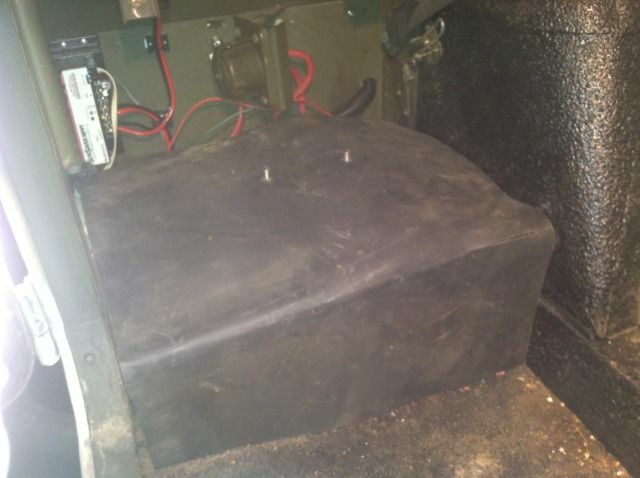 The 12v accessories can be used without draining the 24v system. I have run a 12V line to the rear to a cigarette type receptacle. From here I run an ARB fridge that is on all the time and it works great.